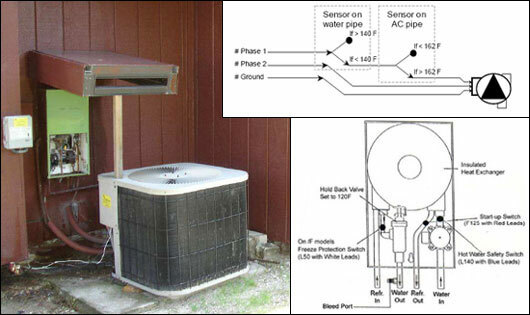 AC units are designed to remove heat from interior and reject it to the outside air. From an energy conservation point, it would be desirable to reuse this heat in a usable form and not waste this energy. The most obvious form of this heat recovery is for heating water, so developing an environmentally friendly way to generate free hot water every time an AC unit is on. In addition, the system performance could be improved further with including solar panels. Intelligentsia International has done some initial engineering drawings of such system, but is in need of further testing of the system installation, designing new technical improvements and measuring and analyzing the system's efficiency. This program assignment is therefore an opportunity for engineering students of various disciplines to apply theirs knowledge on a new system that could bring large benefits. Document all preventative maintenance and repairs. If you are interested in engineering and feel a strong inclination to try your hand on this career path, then we encourage you to join us. I am interested in this project, when can I come? Our projects are ongoing, so you can apply any time. If you are a non US student, make sure that you have enough time for obtaining your visa. When should I buy a flight ticket to Florida? Consider your travel agent "first minute" and "last minute" offers, as these might be way cheaper than ordinary tickets. We recommend buying a flight ticket only after you obtain your US visa though.